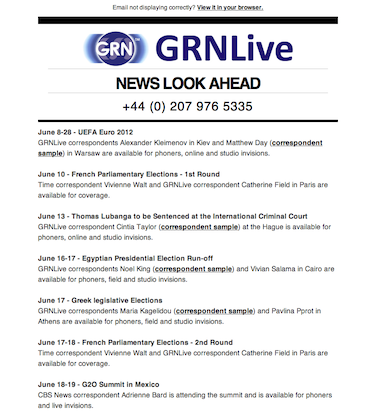 GRNlive started out as Global Radio News, before shortening it's name to simply GRN. 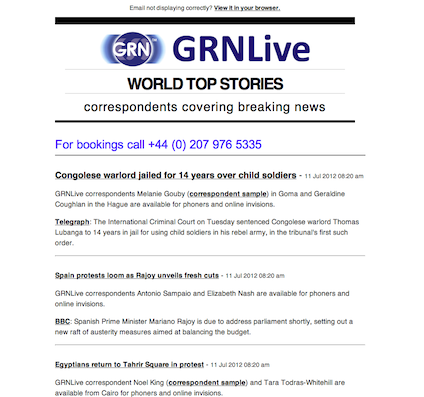 We are now GRNlive. With our name change has come a comprehensive redesign of our core assets, such as logo, typeface, website, and marketing materials. 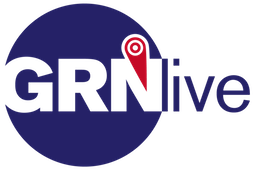 The GRNlive logo has evolved over the years, with our latest logo being both simpler and yet more distinctive and eye-catching than previously. 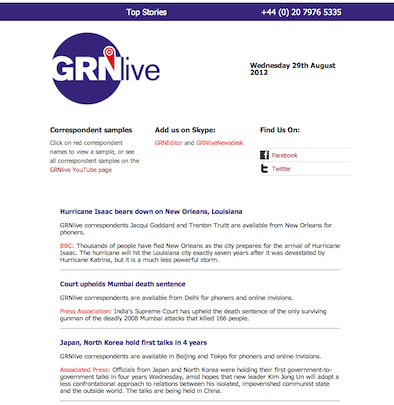 The core idea of the logo has stayed the same, keeping GRNlive's identity easily identifiable to existing customers, while simplifying it and making it more visually arresting with fewer distracting elements. 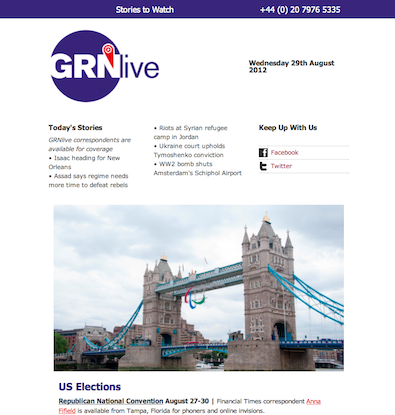 GRNlive sends out both a daily email and a weekly email as well as other occasional emails. The emails have always been simple and easy to read, but a bit too dense. So we have kept the same simplicity while adding a bit more style and sophistication. Stuart designed our logo, business cards and marketing materials. We used his designs as a basis for our website and email redesigns. The website has had small updates applied throughout the years, but was desperately in need of a more comprehensive update, and the rebranding gave us a good chance to do so. 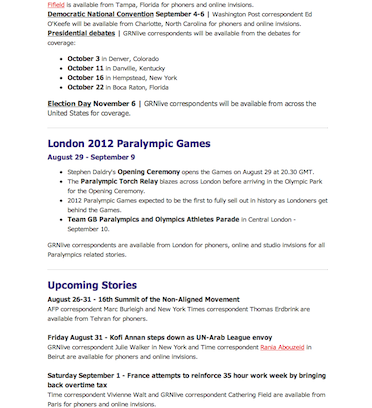 The website is now a lot more user friendly, with a number of outdated and irrelevant pages removed.